Lock in a great price for Villa Krini – rated 8.9 by recent guests! We stayed in villa Krini for two weeks and from there we explored different beaches on the island. Our hosts were very nice and helpful from the first moment we arrived, we were event welcomed with some domestic grapes and wine. Location is great starting point, very peacefully surrounding, view from the terrace perfect for the morning coffee. Room was cleaned each day during our stay and we always had everything we needed. Also we made friends with very cute local cats (you don't need to if you don't want ;) ). I would highly recommend this place especially for people who will have car/moto on the island and want beautiful and quiet place to stay, but they are still near the city. We had a lovely time at Villa Krini. The room was everything we needed, the view from the balcony was beautiful, and the owner was one of the loveliest people we met on our entire trip! The location is also excellent, being far enough out of the town to be quiet and feel secluded, but close enough to walk to and from reasonably easily. Returning to the hotel for a late bottle of wine on the balcony after a meal out, with wonderful views of the town lit up at dusk, and complete silence besides the buzzing of the crickets, was a lovely experience. We highly recommend Villa Krini. Very friendly host,quiet area,amazing view over the city and sea. The perfect place to relax! Димитра и Стефанос замечательные люди. Спасибо им огромное за заботу, разговоры на веранде, вкусняшки и их доброту. Tranquillità, vicino alla fermata del pullman. Personale gentilissimo, la signora ci ha accompagnato all'aeroporto alle 4 del mattino! La camera era carinissima e completa di tutto.....un panorama stupendo ...i proprietari gentilissimi ci hanno portato una bottiglia di vino ,l’uva ,olive sott’olio dei loro alberi come benvenuto.La posizione sembra apparentemente scomoda perché non si trova facilmente ma data la caoticita’ del centro di Skiathos troverete la calma di Villa Krini una goduria.Se tornassi a Skiathos alloggerei di nuovo a Villa Krini . L’appartamento ha tutto ciò che serve, e il terrazzino con vista mare rende la cena romantica. I gestori sono gentilissimi, ci hanno offerto i prodotti che coltivano, consigliato sui luoghi da visitare e accompagnati in aeroporto. Tutto perfetto! One of our best sellers in Skiathos! 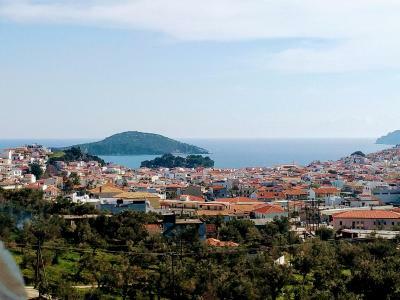 Set amid an olive grove, Villa Krini is 2,300 feet from Skiathos Town Center and the lively Papadiamanti Street. It features self-catering accommodations with views over the Aegean Sea, the garden and the mountain. Megali Ammos Beach is 0.6 mi away. Opening to a furnished balcony and terrace, all air-conditioned studios of Krini come with a cable TV. Each has a kitchenette with mini oven and cooking hobs. The private bathroom is equipped with a hairdryer. Other facilities offered at the property include luggage storage. An array of activities can be enjoyed on site or in the surroundings, including hiking. The property offers free private parking. A bus stop, a café bar and a restaurant can be found within proximity. 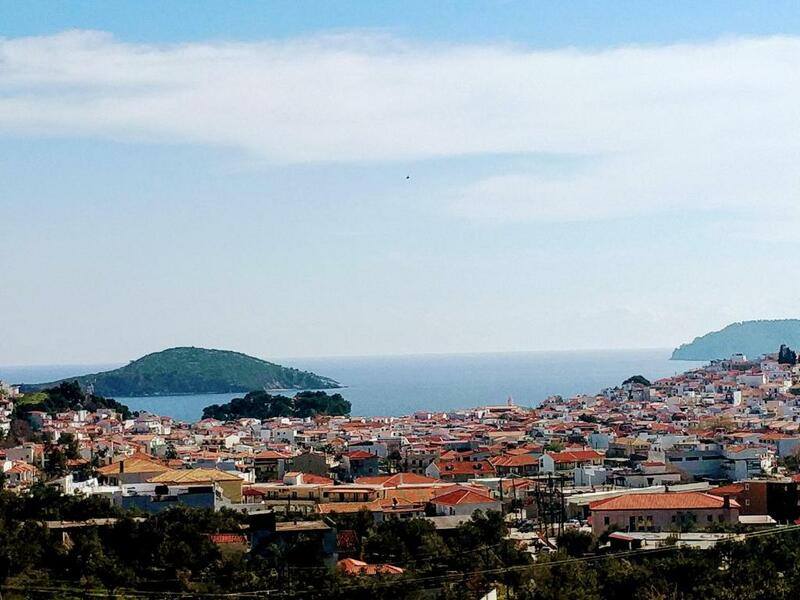 The port of Skiathos is 0.6 mi away from the property. The airport of Skiathos is lcoated within 1.6 mi of Villa Krini. When would you like to stay at Villa Krini? 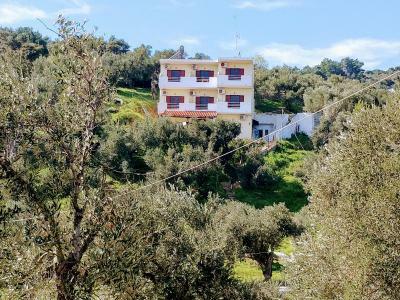 Opening to a furnished balcony and terrace with views over the Aegean Sea, the garden and the mountain, this air-conditioned studio comes with a cable TV. 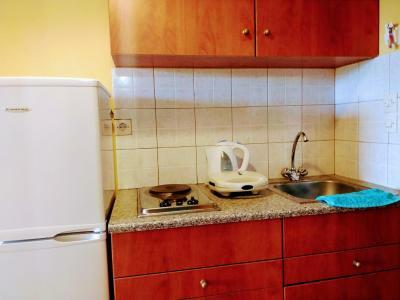 It has a kitchenette with mini oven and cooking hobs. A hairdryer is included. House Rules Villa Krini takes special requests – add in the next step! Villa Krini accepts these cards and reserves the right to temporarily hold an amount prior to arrival. Please inform Villa Krini of your expected arrival time in advance. You can use the Special Requests box when booking, or contact the property directly using the contact details in your confirmation. There is really nothing to complain! Only not so great thing was that internet signal wasn't so good in our room. It was ok for whatsapp etc, but my boyfriend needed to work a bit and then he needed to find spot with stronger signal. Nothing - although worth noting that the walk may be a little far and a little steep for many older visitors. The staff were very helpful and nice !